Palmetto State Armory is proud to provide the AR-15 Stealth Lower Receiver. Just the thing for that special build, this lower features no rollmark on the left hand side, just the caliber, model and serial. Leave the area blank or engrave your own logo for the ultimate custom rifle. These forged lowers are quality made by a mil-spec contractor using 7075-T6 aluminum and are marked "MULTI" to accommodate most builds. Finish is Black Hardcoat Anodize per MIL-8625 Type 3 class 2. Serial Number prefix is "PA". Fire selector is marked "Safe" and "Fire". Pretty sure all PSA lowers are high shelf meaning no RDIAS. Probably want to verify with a PSA employee that knows. No they are not. All PSA lowers are high shelf. I could not find any differnce in my Colt, Anderson or PSA lowers. These lowers are mil spec... made of mil spec grade 7075-T6 aircraft aluminum. What were you looking for ? Received 3 today. All are lower shelf. Do I need this item shipped to an FFL dealer? Can this lower be shipped to an ffl in California as a stripped long gun lower? Will I need a FFL dealer to get this? I live in maryland and was wondering if anyone had any upper suggestions to pair with this lower to match the finish and HBAR requirements in MD? BEST ANSWER: Any heavy barrel upper will work. 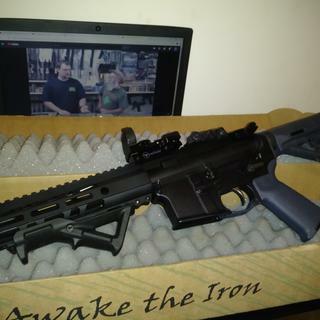 I recommend a .300 blackout upper and have Bollinger Gunsmithing and Sales in Taneytown, MD place the order for you with Palmetto State Armory to make the whole order process flow smoothly. Even if the drive is two hours for you, you'll find it easier and worth your time to have Bollinger place the order for you. Can I pick it up at a PSA in Summerville, SC? BEST ANSWER: Yes, if selected during checkout. No charge for transfer. I pick mine up from the Mount Pleasant Store regularly. 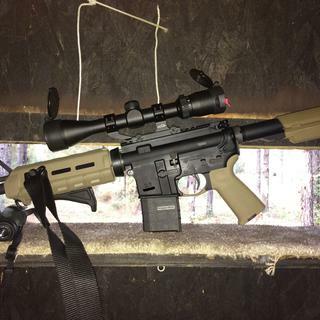 Besides a Stripped Lower is there anything else you would need to complete this build? BEST ANSWER: Basic tools. A set of needle nose pliers. A hammer. Might scratch the receiver a little with basic tools but that shouldn't matter to you if you're building an AR for what it is intended for being: a tool. Only a rear sight or optical sight is needed. Everything else is included in the kit, except of course, a magazine. I have put a few of these together, I generally include a detachable carry handle so that the weapon has some sort of sights and a magazine. But besides that, no, it will fire once completed. Is this lower sold as a rifle or a pistol lower? I live in a free state. When my FFL completes the transfer they write something like 'AR15 Lower receiver MULTI/Other'. I think at that point you can do whatever you want depending on your state law. for a stripped lower you can either configure it to a rifle or pistol, just be aware of your local laws since it varies from state. It is sold as a lower receiver. Your FFL will indicate it as “other” that way it can be made into either pistol or rifle. It’s transfer as “other”. So neither. Yeah from what I’m being told as long as u registered it for a pistol if u want to build a pistol or a rifle if u want to build a rifle. It's somewhere in the middle, better than most I'd say. Well worth what you pay for it. Mine are packed away from a recent move, so I can’t look to verify. and this helps how ? I saw some customers referring to the serial numbers... I was under the impression that these “stripped” lowers (or “80% lowers”) did not have ANY serial numbers. Can anyone clear that up for me? BEST ANSWER: Stripped lowers are not the same as 80%. These are not 80% lowers, which would need to be milled out. 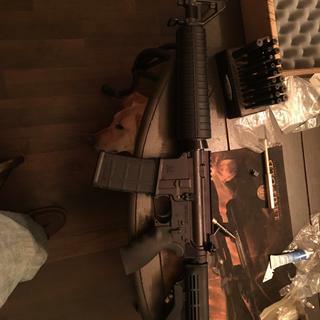 Will a 300 blackout upper work on this? Yes, it is will. The difference for 5.56, 6.5, .300 is the bolt and the barrel. All of those in the AR 15/16 platform use the same upper, as the casings are respectively derivitives of each other. The .308 is a larger caliber and requires it's own, larger upper for AR10. Yes. I installed a complete 300blackout upper on mine and it works great! Yes, this lower accepts the 300 blackout upper. What style of buffer tube is needed? BEST ANSWER: It will accept both rifle and pistol buffer tubes. Any ar15 pistol or rifle buffer tube will fit..
Any commercial or mil spec tube will work. I cannot imagine why anyone would want a commercial tube, but it will work. When will you bring these babies back? Very nice job. If i buy multiple lowers do i have to pay multiple ffl fees? 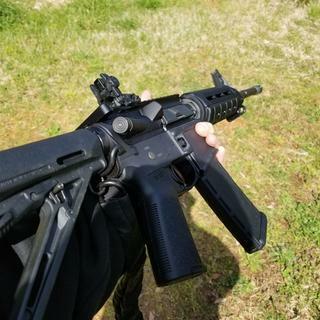 In Georgia, you must be 18 to buy and own a long rifle. However it says you must be 21 to buy. I was just wondering why that is? NC resident here can I buy multiple lowers in SC? Is this lower already drilled and threaded or do I need to do the work myself? BEST ANSWER: It's ready for a lower parts kit, nothing has to be done to the receiver. All you’ve got to do is buy the lower parts kit and you’re good to go. Everything else is already done. The milling, threading, etc. William, This lower is already drilled and threaded. It is ready for the hardware and then it it is ready for action. No drilling. No threading needed. It comes fully detailed. Ready to install all other parts. You don't need to drill or thread anything. Everything is Mil spec (drilled and tapped), just no branding. It is all ready drilled and ready to assemble. It is all ready to go using your parts kit!! No work needed. Drop in the parts. All finished and ready for parts. 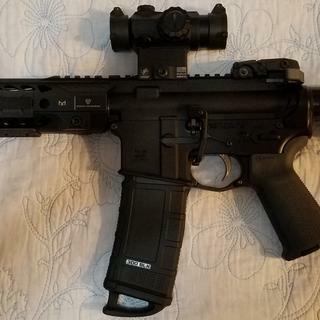 Are this lowers ok to assnbly as a pistol? Yes you could use as a pistol lower. My opinion though if using a pistol cal. Get a dedicated lower dont use the magwell adapters. So if building a pistol that will take standard size ar mags gp to go.. also the second half of this answer is only my opinion. Should not be a problem. Just watch buffer and spring combination for pistol. Yes with the appropriate additional items to complete the lower. Yes. I built a 300 Blackout pistol. It runs and looks great. yes, it’s virtually identical to the standard lower. Yes I actually use it with a 7.5 upper. Will this lower work on a pistol build? Yes, should work fine. I was going to use the for a pistol build as well. Yes. 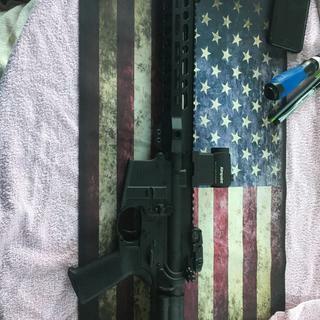 I just built a 300 blackout pistol with one. Since This lower is marked "multi" can I put a .308 upper on it? BEST ANSWER: No, 308 is way too big for that. This is for a 5.56/.223, 7.62x39, 6.8 rem.spc, 6.5 grendel, 300 Blackout, one of the smaller shorter cartridges. For a 308 you need to be looking at one of the PA10 stripped lowers. Those will work with .308, 7mm-08, .243, 6.5 Creedmoor, etc. The lowers marked "multi" refer to the multiple calibers that the AR15 lower receiver is capable of accepting and/or using, .308 win. is not one of them. Standard .308 uppers will not work on the AR15 lower receiver, they are too big and would require a .308 sized lower receiver. PA10, LR308, AR10, etc. 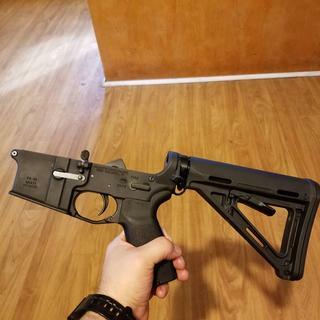 When AR 15 lower says multi. It is referring to .223, 300 blackout, 5.56 9mm etc. some need other components. .308 uses an Ar10 type lower, so answer is no. Hope this helps. The magazine well is too small for .308. The multi cal marking covers the variety of rounds that fit in the standard 5.56/.223 magazine. No, for a .308 you would need the PSA 10 receiver set. You could however use it to build a 7.62x39. Are the holes pre-drilled and threads tapped or do I need to mill everything? BEST ANSWER: Everything is ready to just assemble. This is a 100% milled stripped lower . You don't need to mill or tap anything. All you need is a lower parts kit and and an upper build kit or complete upper and you're good to go. No milling, drilling or tapping required. These are very nice lowers for the price. It is a mil-spec lower ready to build. No milling required. It’s good to go. Throw a parts kit in it and you’re ready. It’s already done. Ready to customize and assemble. Everything is drilled and threaded. Is a FFL required for this item? Yes a FFL is required. Does this "Multi Caliber" include .300 AAC Blackout? BEST ANSWER: Multi Caliber means that you can build to whatever caliber you want as long as your caliber is compatible with a standard AR15 lower receiver such as .22, 5.56/.223 (obviously), 9mm, .300 blk, etc. It will not work with .308 or other rounds which have larger cartridges and are not compatible with the standard AR 15 lower. Hope this helps. Yes, this “multi-cal” lower covers all AR-15 calibers such as .223/5.56 NATO, .300 AAC BO, 6.5 Grendel, and 22 Nosler. Because of cartridge OAL, longer cartridges such as .308/7.62 NATO and 6.5 Creedmoor run from the AR-10 platform. Yes you can use this lowet to build a .300 blackout. Do these lowers accept PSA uppers only, or do they accept any upper? 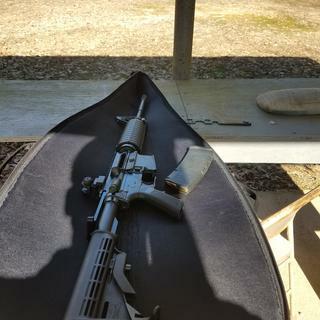 AR-10s are a different beast. I used a Davidson Defense upper, and the fit was perfect. I ran into trouble when I tried to use a parts kit from a different manufacturer with this PSA lower receiver, though. So in short, yes. It should work with almost any DPMS upper. But if you get this lower, I would recommend buying a lower parts kit from PSA to make sure you don’t run into any issues. They are Mil-spec, so they will accept any upper. What would I have to purchase to complete the lower? BEST ANSWER: To complete the lower receiver you will need a "Lower Parts Kit". It makes it a lot easier to buy the whole kit vs. each individual part. It will include a Pistol Grip, Fire Controls and Pins, and the Standard Trigger. The tools you will need are: bench vise, magazine well block, punches with an index tip and punches with a roll tip, a nylon mallet and good synthetic gun oil. These tools will get you started. I recommend if this is your first build watching some videos on lower builds and comparing notes on what tools/methods are used to assemble the lower. My only piece of advice is to be careful with the detents and springs. They can fly out and you can lose them very easily. Wear eye protection! Small parts kit. Mag catch and button. Bolt stop. Trigger group with safety. Receiver extension. Buffer & spring. Pistol grip and buttstock. End plate and castle nut. Take down and pivot pin. Trigger guard. If you buy one of the AR15 kits it has everything you need for this lower. a standard LPK or "lower parts kit" contains all the necessary small parts needed. I usually get the minimum kit and then add a custom grip and trigger. Does this lower have a keyhole forge mark? BEST ANSWER: No, There are no forge marks on these receivers. No, I did not see a keyhole forge mark. Can you tell me where to look? 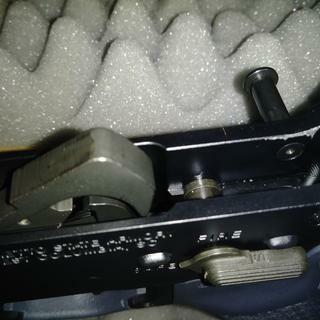 does this lower have the nylon tipped set screw? It comes packed in protective lubricant and nothing else. Great lower! Can you get the lowers in sequential serial numbers? Mine were 4 serial numbers off. They said it would be complicated to correct the issue. Yes. Anytime you buy more than one at a time they are sequential. My 5 were all sequential. Low shelf lower & high shelf lower. What's the difference? The difference is who fordged the raw material, I have both, I bought this one. I built a very impressive tool for doing what I wanted and it didn’t break me. From what I understand it is the lowers design that allows it to be modified for auto fire. I believe you need a FFL in order to complete the project. How soon after purchasing the lower do I have to pick it up ? BEST ANSWER: If you are having it shipped to your local FFL then that is up to them. I would contact them and let them know it is going to arrive. My FFL calls me when it arrives at his store. PSA is really good with updates on shipping too. This will depend solely on the FFL you sent it to. It would be wise to contact the FFL directly to ask what their policy is. my receiver arrived two weeks after my order was placed. Awesome. Purchased one for my first build and I have really enjoyed it. Will be buying another soon! Great product! And at a great price! Worked great with the rifle I built. Extra stripped lower laying around in my safe. 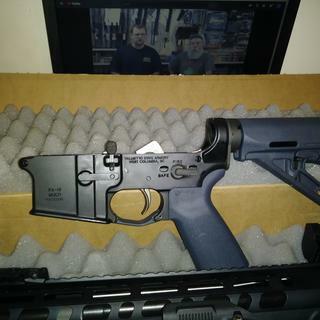 Built it into a 300blk pistol with a 8.5" CHF FN upper ordered from this website as well. Its been an awesome experience building this pistol. PSA hits another home run! Fit and finish was flawless, all lower parts fit as they should with no modifications necessary. Mated to my PSA upper snugly with minimal gapping and no figment issues. Great lower at a great price. Quality lower receiver at a great price. Lower was exactly as described. I got a lower parts kit from PSA also and everything went together smoothly. Excellent Lower. 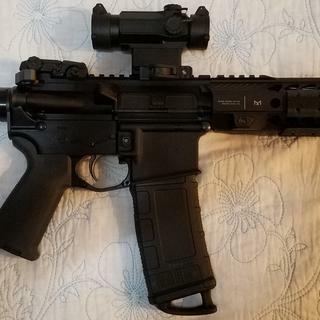 No problems at all in building an AR pistol using a PSA Upper and Build Kit. Excellent Lower. Fit like a glove with the PSA Upper and Build Kit. High quality lower. 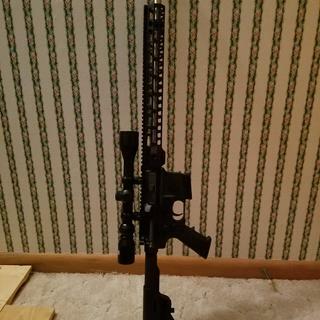 Up to par with my BCM lower as far as I can tell even has a flared out magwell and for $40-$50 you can't beat that. Ordered two. One looks and works perfect. The second came with a 1/4 inch scrape down to aluminum. I don't think it happened during shipping since both were individually bubble wrapped and the other receiver is flawless. One star off for the scrape. I did not buy a blemished item. Receiver is very clean without the logos and looks extremely well with my upper. Love it. Assembled with zero issues and has performed flawlessly so far! Would purchase again! Nice looking reciever and works perfectly. Great reciever for a good price. Good quality, even came taped for a tension screw under the take down pin lug. This is an excellent lower for any build in its multicaliber class. Without any messages, cartoons or graffiti, no one will jump to any conclusions about its legal intent. It's made to spec and it's 7076, not a weaker casting. There is nothing trendy, silly or ridiculous about it. Mine showed up in perfectly pristine condition. I would buy a few, the moment any of our pandering politicians speak of banning them again. Love my new pistol...Built using all PSA parts. The Stealth Stripped lower is as good as any! Love my new pistol that I put together using PSA parts.The Stealth stripped lower is as good as any! 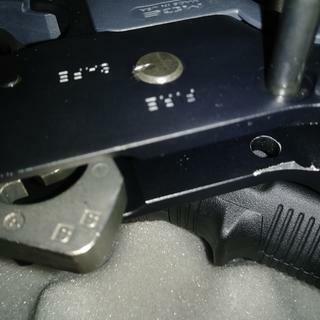 Scratches easily and the roll pin for the trigger guard is very difficult to put in. Other than that, does what it's designed to do. Love it! Super fast shipping and a great company to deal with. Nice finish, LPK and all fit nicely without issue. Can’t beat the price and definitely does the trick. Decent quality, looks pretty good like any lower. Took off stars for quality control - there are 2 spots in the mag well that are not finished. This probably won’t stop me from buying PSA again though. fit and finish is excellent!!!!! I had to go back and check my order because I thought I must of ordered a “blem”. I didn’t. The finish is very poor with large discolored spotting. Looks like it was dropped on gravel driveway or tossed into a parts bin instead of set on a finish rack. No way this was quality checked. Disappointing. Great finish on my lower. Easy install with psa rifle kit. Had a minor issue toward the rear pin hole of the receiver where the upper and lower were too tight to close fully. After some very light filing, the parts now fit perfectly and there is no gap between upper and lower. I would rate five stars otherwise. I will purchase again when back in stock. Great plain lower. Perfect finish. This is my 4th lower from PSA and all have been an excellent value. The finish and fit worked well in my assembly. You can pay more but why ? Never any complaints when I'm using Palmetto's components. This is a great lower receiver. I like the "stealth" version and am thankful to PSA for making one that is stealth. Great quality machining. I would recommend to a friend. Quality fit and finish, never have had a problem with any of the four I've bought. Highly recommended. Have used a few of these receivers on builds with excellent results. All milspec parts go in without a fuss. I would like to start by commenting on the fit between the upper & lower. It is flawless. Can't say enough about the quality of PSA's product line. 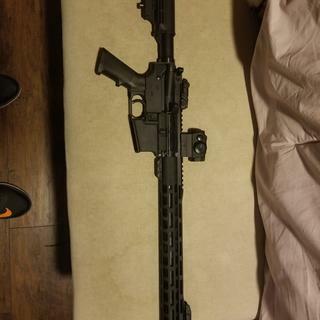 This is my second AR & my first pistol build. The finish on the lower was perfect. Everything assembled with no and I mean NO issues. Went together perfect. If you are contemplating whether to buy from PSA let me ease your mind. You can't go wrong with their products. All this quality for mere price of $39.99. You can't beat the quality Vs. Price. I will further review the receiver & build kit once I am able to get some range time on the firearm.